I joined a Bee! I have wanted to do something like this for ages but didn't know quite where to start. Plus I saw so many great blocks I was nervous about taking the plunge! Then, a little while ago, I started using Instagram and saw Lindsay of Lindsay Sews advertise a new hive in the #moderninstabee2014. So I took the leap and joined. This bee follows Lindsay's Modern Bee book, so at least I knew what I was in for having got the book. 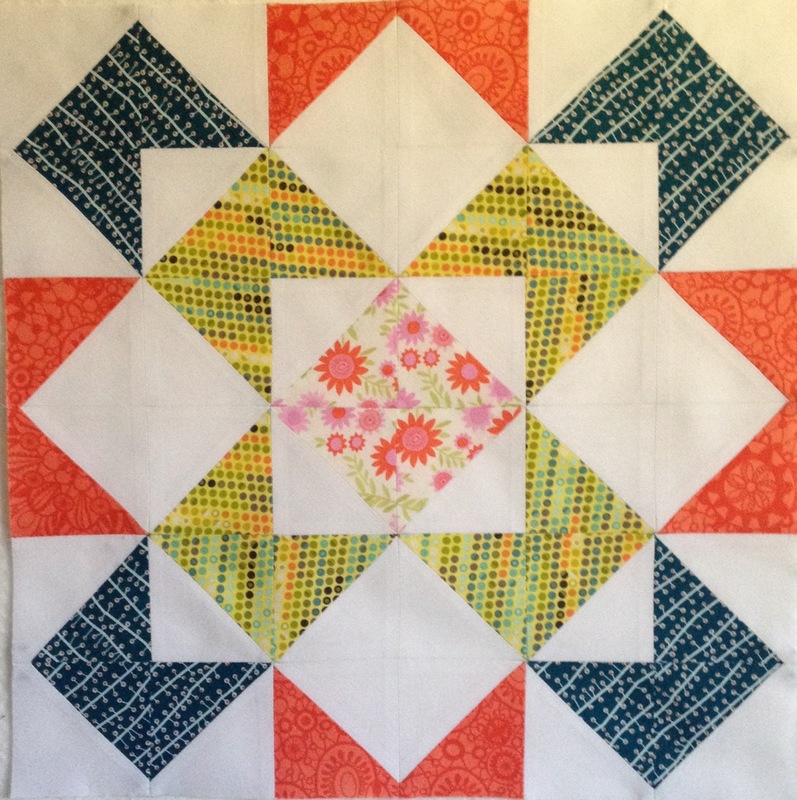 Katie, the Queen Bee for this month chose the Stacked Windmill pattern and sent a picture of the colours she was using. It was fun picking colours out that I don't normally put together. There were a lot of HSTs to sew together in this block, it was quite a challenge. The first time I constructed the block it ended up over half an inch too big, clearly my seams were too scant! So I started it again and now it's only just big enough! Here is the final block which I put in the post today. I hope Katie likes it. Looking forward to next month now and the next challenge!